Our low-cost new and used wheelchairs vans are designed to get you on the road to a life well lived! When you purchase through our online sales process, your AMS Vans' mobility consultant will work closely with you by phone and Internet to to accommodate your daily schedule while you stay home in Erie, Pennsylvania. When we complete the sale, a mobility professional will bring your handicap van to you in Erie, PA or any surrounding cities. 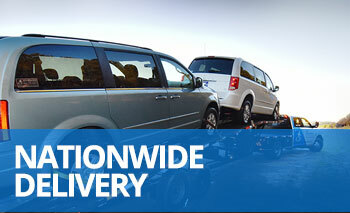 Wheelchair vans can be hauled by trailer directly to the customer's home in Erie, PA with our prompt delivery service. Make the trip to beautiful Atlanta, GA and visit our headquarters to pick up your handicap van. Often, customers from Erie, PA qualify for a discount that's taken off the purchase price, simply for driving home your van. Since adapted vans have additional bells and whistles, we provide our complimentary "White Glove Service" to every customer. 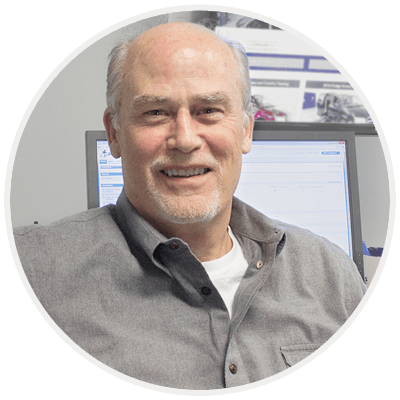 Our mobility professional will show you how to operate the adaptive and factory-installed features of your specific handicap van, give you safety guidelines, maintenance tips, and answer any questions that you have. Our continued success depends heavily on our customers' peace of mind, so we back all our wheelchair vans with a satisfaction guarantee upon delivery. At the time of delivery, if you aren't completely confident in your purchase, we'll return the van to our office, delete the sale, and process a refund to be sent to you with no high-pressure sales tactics. For an independent consultation before you make your final decision, we are happy to meet you at an auto mechanic in Erie, PA and wait while an inspection is completed. Our innovative wheelchair van conversions make our vehicles some of the safest on the road today. With safeguards like the driver's side rocker panel remaining intact during conversion to provide additional stability on the road and in the event of an accident, you can feel secure wherever you go. To be sure you and your loved ones can always safely exit the handicap van, our powered ramps can be operated manually in case of an emergency or loss of power. Contact a mobility consultant at 800-775-VANS (8267) for further information about our safety features. At the same time, we invite you to take the opportunity for a mobility needs assessment. Our consultant will speak at length with you to get details on your specific requirements, after which your consultant will point out several vans in our inventory that may interest you. When you make the choice that's right for you, we'll guide you throughout the entire sales experience, and then deliver your life-changing wheelchair van to you in Erie, Pennsylvania. We are proud to be one of the top dealers of mobility equipment in the country, so it's possible you've already seen a wheelchair van that was delivered to the owner's home or office in Erie, PA by AMS Vans. We look forward to hearing from you and returning to Erie to deliver your mobility independence soon!